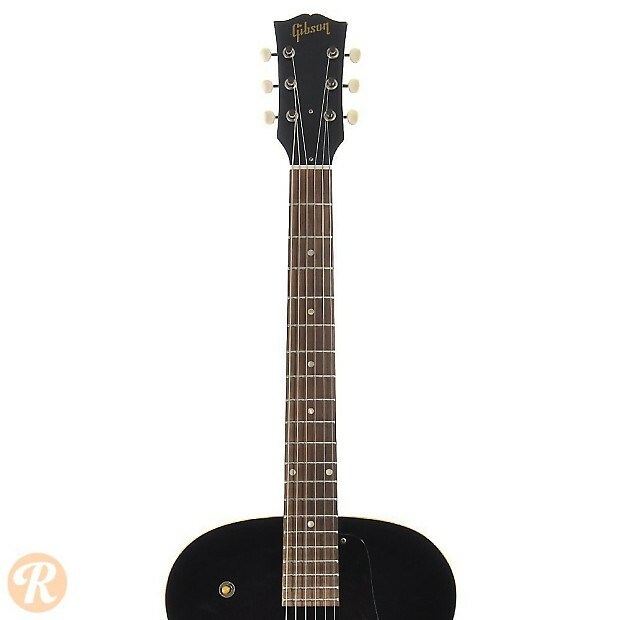 The ES-125 evolved out of the ES-100 in 1941 and was produced until 1943. 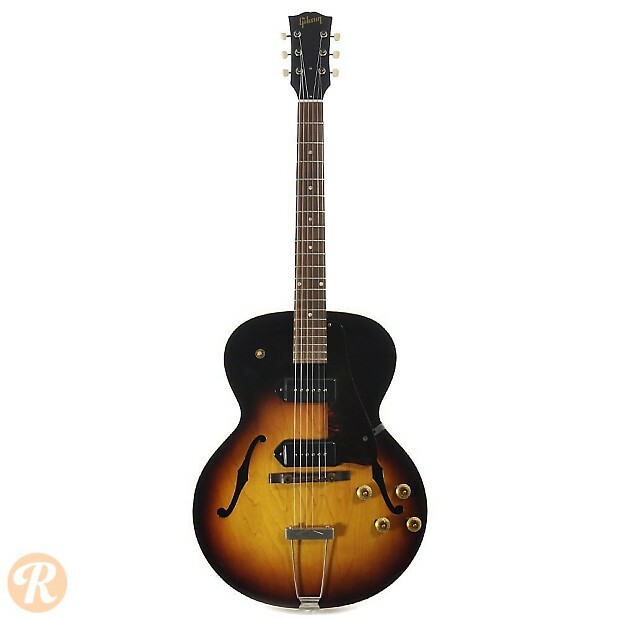 Upon its reintroduction in 1946, the ES-125 changed in a number of ways including a wider body, a new P-90 pickup, and trapezoid inlays. 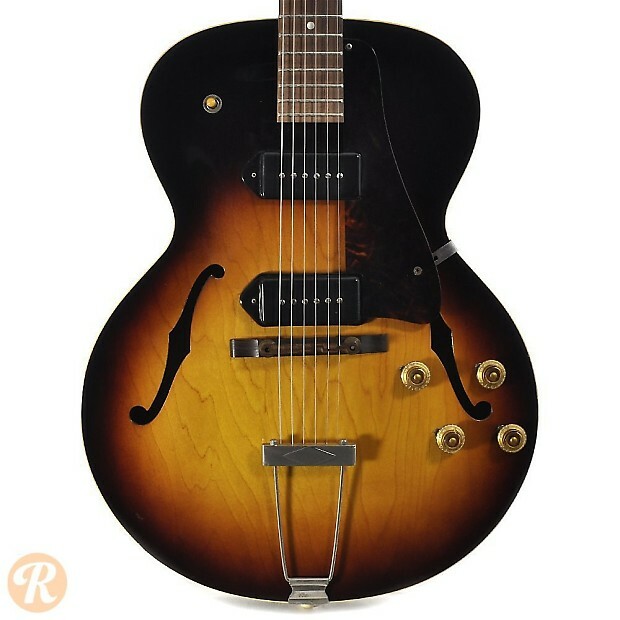 The ES-125 was updated again in 1950 with an adjustable P-90 pickup and dot inlays. 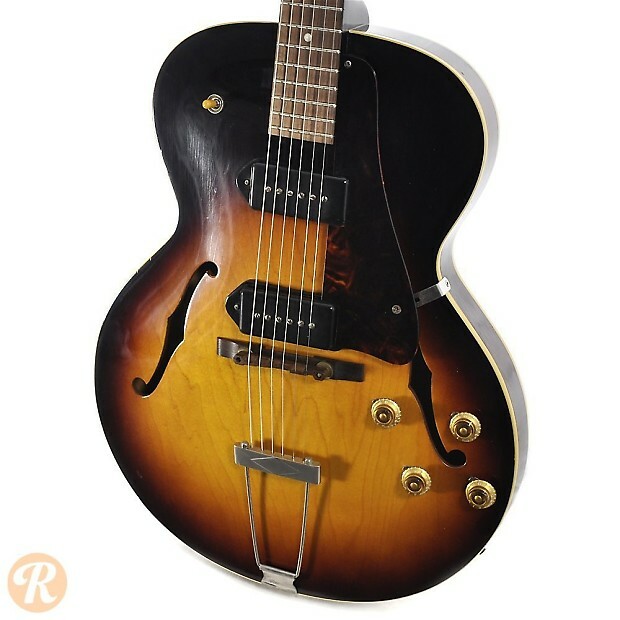 Through the '60s, a number of variations on the original ES-125 were produced including a version with cutaway (ES-125 C), thinbody versions (ES-125T or ES-125 TC), as well as versions with two instead of one pickup (ES-125 TDC, ES-125 TD, or ES-125 CD).